Can Ginseng Increase Your Survival Rate? As you may already know, Ginseng is a popular herbal supplement that has been used in Chinese medicine for centuries. In the west it is used to increase energy and boost the immune system. Ginseng is made from the roots of several plant species. It comes from the root of the Panax, a perennial herb indigenous to Eastern Asia. P quinquefolium is found in Eastern U.S. and Canada; P pseudoginseng is found in India, China and Japan. Modern medicine has found it difficult to discover the benefits of using ginseng. Studies are uncertain because of the wide variety of related products. Chinese have boldly declared the benefits of ginseng for diverse ailments and continue to use it regularly. In a recent project from Vanderbilt University in Nashville, 1455 Chinese women treated for breast cancer were tracked for six years. The result was that women who had been using the herb were less likely to die of breast cancer. Those who started taking ginseng after their cancer diagnosis reported they were able to be more active and had a better emotional health during treatment. Although the payback of ginseng has been difficult to prove, 1065 women who survived breast cancer (63%) used the herb after their diagnosis. It is difficult to evaluate if ginseng was responsible for these numbers because it is not possible to separate the effects of ginseng from other alternative medicines that some of the women used. Laboratory studies do show the ingredients of ginseng slow down tumor cell growth. Women who have breast cancer should always consult their health care professional before adding any alternative medicine to their breast cancer treatment. The plant may also have side effect or could interrelate with other medications your doctor has prescribed. Also, the findings of increased survival rate still need to be proved in more clinical studies. Ginseng has an effect on the patient general sense of well being, providing a feeling of emotional health. If you are already consuming ginseng, it may be a benefit for you to continue. If you are not taking it, consult with your doctor to see if it will be good for you. Now, if you decide to take ginseng as a supplement to your current treatment, be sure your doctor is aware of all medications you are on. As with any new medicine or alternative treatment, always get all the information you possible can before taking them. Also, there are some reports of investigations carried out on mice to evaluate the effects of ginseng in inhibition or prevention of carcinogenesis (cancer generation) induced by diverse chemical carcinogens (cancer substances). 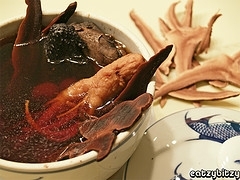 Effects of red ginseng on newborn mice are the following: the herb extract inhibits the incidence and the growth of lung adenomas induced by urethane, as well as by dimethyl benzanthracene; it seems to have the tendency to inhibit the incidence of lung adenoma and hepatoma provoked by aflatoxin B1. So, it might be concluded from these results that, by conducting systematic and active research in this field, it will be possible to use ginseng extract as a preventative or delaying agent for cancer induced by some environmental carcinogens. Lastly, let me reiterate that as with any new medicine or alternative treatment, it is wise to get all the information you possible can before taking them.